UT Arlington’s Asian EMBA closes the cultural gap for students on both sides of the globe and opens China to American business practices. Shanghai Impact Asian EMBA graduates Louise Ji and Michael Wang are putting American business concepts to practice. The graduation reception in the E.H. Hereford University Center in May was much like others around campus that day, but with a twist. These Executive MBA graduates and their families were greeted in Chinese, not English. Another difference: None of the students had ever been to UT Arlington. Many had never visited the United States. All had attended UTA’s EMBA classes at one of three Chinese universities, but they wanted to be in Texas for commencement. Sharry Du ’14, a business owner in Shanghai, figures the Texas ceremony was just one more way to expand the valuable relationships she developed while a student. Strong personal relationships, an essential part of doing business in Asia, have grown exponentially between the University and China since 2002, when the College of Business began its Asian EMBA program. The move put UTA at the top of the food chain for EMBA degrees in China. It was one of the first programs of its kind in the country and is now the largest international EMBA there, with partnerships at the University of Science and Technology Beijing, Tongji University Shanghai, and Xi’an Jiaotong University. Xi’an Jiaotong University is one of three Chinese partners for the Asian EMBA. It is also the only EMBA program approved by the Ministry of Education to partner with three Chinese universities. Chinese MOE approval is an essential accreditation for schools that educate employees of state-owned enterprises (SOEs). That accreditation launched a second opportunity in 2003—the chance for SOE employees to experience a 12-month, residential EMBA in Arlington. 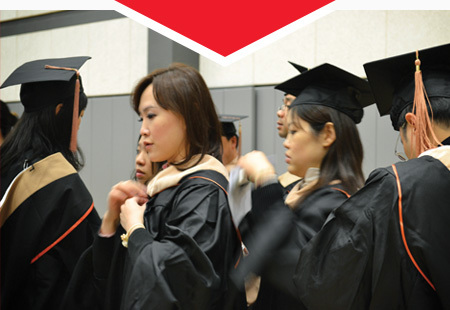 Today the in-country and in-Texas Asian EMBA programs have graduated more than 2,000 businessmen and women. Many own or have recently started companies; others have moved to the top ranks of SOEs. Students credit the UTA Asian EMBA with advancing their careers. Milestones in the program’s evolution include expansion to three Chinese universities. Twenty-six executives from PetroChina come to UTA for six months of training. First EMBA class enrolls at the University of Science and Technology Beijing. Twelve-month EMBA program at UTA begins. 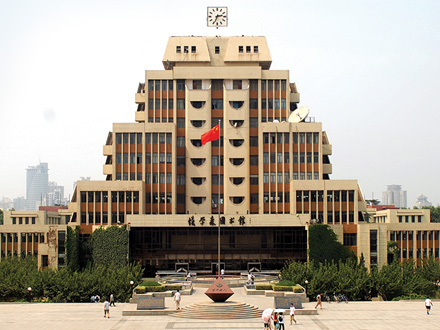 In-country program expands to Tongji University Shanghai. In-country program expands to Xi’an Jiaotong University. It gave him the confidence to leave a stable position at Anshan Steel a year and a half after graduating and open his own business, Steelvision International Trading Co., Ltd.
And he does. He travels the globe half the year to build and maintain work relationships. He appreciates the American way of thinking so much that he enrolled his teenage daughter in a boarding school in Austin. China opened for international business about 25 years ago. 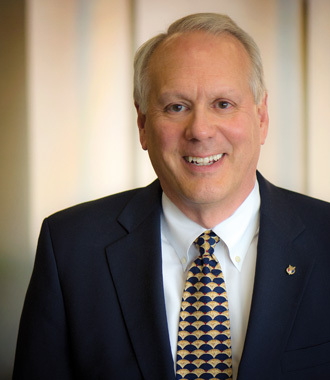 Now the Chinese clamor to embrace the global business trend, especially in the U.S., says David Mack, assistant dean in the College of Business. He has taught in China 31 times in the past 11 years. That means successful companies must navigate myriad cultural challenges. In China business relationships are vital, says Daniel Himarios, the founder of UTA’s Asian programs and vice provost and executive director of the Center for Global Academic Initiatives. The Asian EMBA is the largest international EMBA in China and the first to gain approval by the Chinese government to train its business executives. Graduates often travel to UTA to participate in commencement ceremonies. Mack says that translates to “being treated to lunch every day” when teaching there. Those who attend classes at UTA get an even more intimate view of life in America during their year here, visiting businesses and enjoying social activities with churches and other local organizations. UT Arlington is certainly impacting the Chinese business culture. For example, about 30 percent of the executives at state-owned Sinosteel have been through the UTA EMBA program. Other graduates hold high-ranking positions at McDonald’s China, GE China, Walmart China, and IBM China, among other companies. Louise Ji ’12, who earned her EMBA in China, says the degree gave her a “sky-high view” of businesses that helped her advance to her current position as operations director at Emerson Climate Technologies. Emerson is an international heating and air conditioning powerhouse that operates in every major market in the world. Ji is responsible for production, quality, supply chain management, and finance for refrigeration in the Suzhou plant. David Mack has taught in China 31 times in the past 11 years. Christina Chin ’03, director of international programs at UTA’s Center for Global Academic Initiatives, manages details for the Chinese students coming to campus. She arranges housing and transportation and helps them adjust to American culture. Chin says the students return to China armed with business concepts Americans take for granted. They’re impressed with the practice of periodic performance reviews that include employees rating the supervisor’s effectiveness. In China employees are expected to simply take direction and never question the boss. The learning goes both ways. Mack, who also directs the University’s domestic EMBA program housed in the Fort Worth Center, brings his China experiences into every U.S. class, lecture, and speaking assignment. Maybe because they’ve learned from the best.